It's been ages since my last bit of news, so I thought I'd share a tiny update. 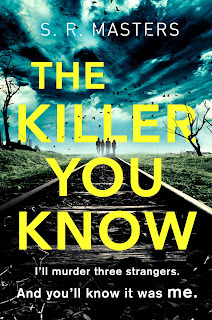 Things are moving along behind the scenes with my debut novel, The Killer You Know, and it's all still a bit exciting and daunting that the book is going to be out there in the world in less than a year. There's now an Amazon link to the book, as well as the blurb, which I've also put up on the writing page above. "I’m absolutely delighted, and still a little stunned, that Lucy and the amazing team at Sphere and Little, Brown will be launching The Killer You Know. It’s genuinely a dream come true for me. I’ve always been fascinated by the way in which other people’s memories of who you were can affect who you are in the present. 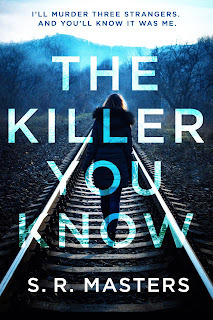 I was struck by the idea of a reunion where a recollection of a friend’s jokey remark, made in the baffling heat of adolescence, is seen in a sinister new light. It seemed irresistible to me. Whether for good or bad, you can’t escape the role nostalgia plays in modern culture, and I had a great time exploring that with film podcast host Adeline, and the rest of the book’s characters, as they tumbled into their own pasts. I really look forward to sharing this adventure with readers."